A fascinating insight into English instrumental music from the mid-18th century is Mitzi Meyerson's latest Glossa recording. A considered view of musical life in Baroque London is likely to overlook the presence of composers such as John Jones because of the dominance of Georg Frideric Handel. Yet, John Jones concurrently held three important London organ posts for 40 years, including at St Paul�s Cathedral. Alas, little of Jones�s compositional output remains except for these harpsichord Setts (or Suites), full of 18th-century inspiration and dance movements such as Sicilianas, Allemandes, Gavottes and Minuets. If Jones shows himself aware of orchestral scores by Handel, his music also nods � as Handel did � in the direction of CPE Bach. 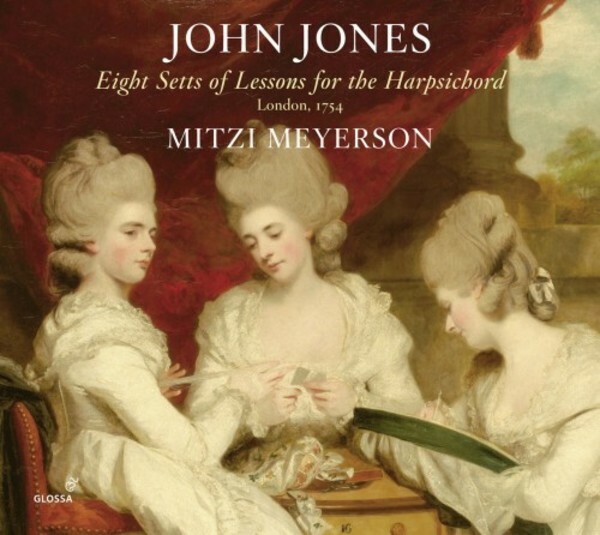 Such revelations in Jones�s music would amount to little if it weren�t for the virtuosic brilliance provided by Meyerson, as she has demonstrated over recent years in forgotten gems by the likes of Gottlieb Muffat, Claude-Benigne Balbastre, Giovanni Battista Somis, as well as Richard Jones (probably no relation).